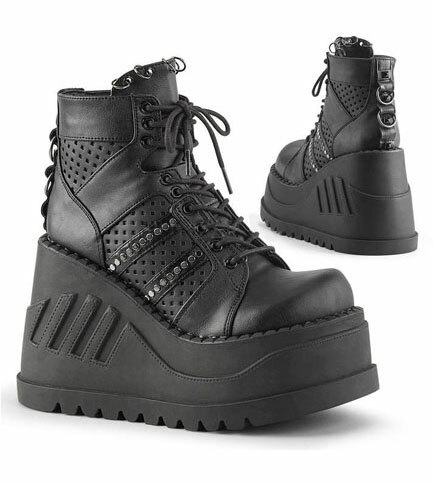 The Stomp-12 has a 4 3/4 inch platform. The front laces up and has lattice cutouts on the side. These shoes feature O-ring details on the tongue and back. These came shipped in their original Demonia box, with zero damage, and perfectly wrapped individually. Purchasing these was the best idea I have had, ever. 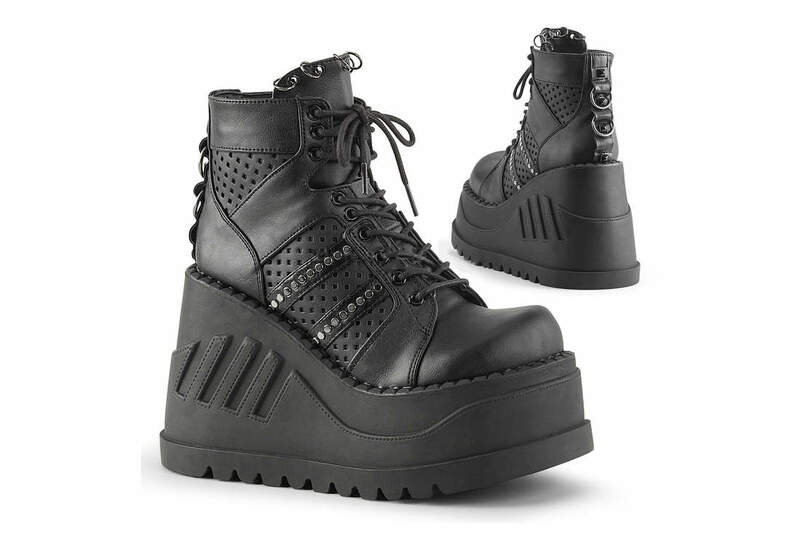 I chose this Stomp model because I hate zippers, and I love the silhouette of lace-only boots, so these were a go-to for my taste. Let me tell you, though, they're work to get into, but I don't give a crap because I've been breaking in patent Doc Martens and making my feet bleed since I left the womb. The ankles are tight and will take some breaking in, just as every other boot I have ever purchased.